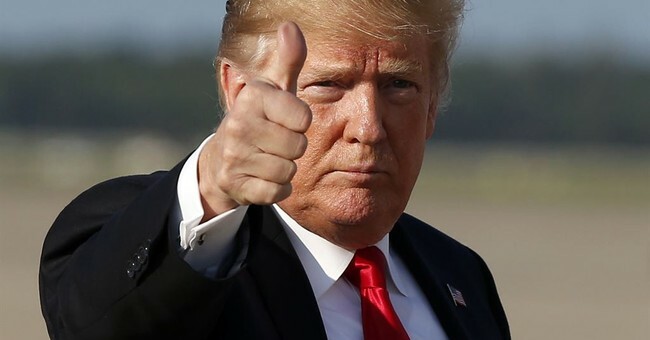 Funny how the mainstream media and liberals are hammering President Trump for projected deficits in the future, yet they refuse to give him credit for the economic recovery, tax cuts and regulatory reforms that have saved taxpayers billions and expanded job opportunities. The left and the media refuse to give President Trump any credit. Instead, they constantly give long gone President Obama credit for the current economic recovery, even though President Trump was the one who reformed regulations and cut taxes. Ironically, the media continually tries to blame President Trump for exploding debt, even though President Obama was pushing for massive new expenditures on health care and alternative energy proposals. Not one significant spending reform was implemented under the tenure of President Obama, and the only real slowing of spending was in the form of the annual “Sequester,” across the board cuts, that was recently removed from the books by the establishment of both parties. President Trump inherited many problems born of the Obama administration and he has done his best to fix many of the problems he inherited. If it is good, then Obama was responsible -- If it is bad, then blame Trump. Reductions in regulations are one of the primary factors in the economic growth that we are experiencing today under Trump, yet you will never hear the media dedicate time to this important issue. The Office of Management and Budget (OMB) released a report recently that found “the Trump Administration’s regulatory reform efforts have saved American families and businesses $23 billion in Fiscal Year 2018 by getting rid of unduly burdensome and unnecessary regulation. The findings, released by the Office of Information and Regulatory Affairs (OIRA), also reported that Federal Agencies issued 176 deregulatory actions.” This is an important report that you will hear little about from a media obsessed with palace intrigue and investigations. The impact of regulations is to impose a hidden tax on Americans and limit choice. The removal of unnecessary and repetitive regulations is one of the most important achievements of this administration to date. The regulatory state is massive and was in dire need of reform and cuts. Thankfully, President Trump has dedicated executive branch resources to this task. The policy from the Obama administration to the current Trump administration could not be more different. OMB reports, “for each new significant regulation passed, the Trump Administration eliminated 12 outdated, unnecessary, or duplicative regulations” and “by contrast, the Obama Administration imposed, on net, more than $245 billion in regulatory costs during the same time period.” The president kept his promise to rid Washington of unnecessary and outdated regulations that serve no useful purpose. The reduction of regulations has helped to provide Americans with more choice, removed burdens on small business and allowed for more job creation. OMB Director Mick Mulvaney has taken his career as a conservative firebrand in the House of Representatives to the Trump administration and proven that cutting the size and scope of government has real world implications including economic growth and a smaller less powerful federal government. Conservatism in regulatory reform is on display and it is working. You are not hearing screams from the left that President Trump’s regulatory reforms are making Americans less safe, because the regulations being repealed and rewritten are outdated and useless. The Competitive Enterprise Institute (CEI) puts out a report every year that chronicles the regulatory state and the 2018 edition was titled “Ten Thousand Commandments 2018.” That report put some numbers on the difficult-to-measure impact of federal regulations. CEI reported “federal regulations and intervention cost Americans $1.9 trillion in 2017” and found that “federal regulation is a hidden tax that amounts to nearly $15,000 per U.S. household each year, more than Americans spend on any category in their family budget except for housing.” One staggering fact is that if the U.S. regulations were a country, the value of regulations would be the world’s eighth-largest economy – bigger than the economy of Italy. According to CEI, federal regulations costs more to the average American than they pay in taxes annually. Thankfully, Mulvaney and President Trump are focusing on this problem and helping to alleviate regulatory burdens. President Trump has had a measurable reduction in the regulatory state as evidenced by the CEI study that found “the 2017 Federal Register contained 61,308 pages, the lowest count since 1993 and a 36 percent drop from Obama’s 95,894 pages in 2016, the highest level ever recorded.” Three cheers to President Trump for his accomplishment. The early legacy of President Trump are tax cuts and regulatory reform that is a proximate cause of the current economic boom. Regulations are a drag on the economy and thankfully we have a president who is reducing that drag.